Experiential marketing is one of the most effective ways for your consumer to engage with your brand. At BELLA+CANVAS, we set out to differentiate ourselves so we found the most unique live printing activation for our show at ISS in Long Beach, California. 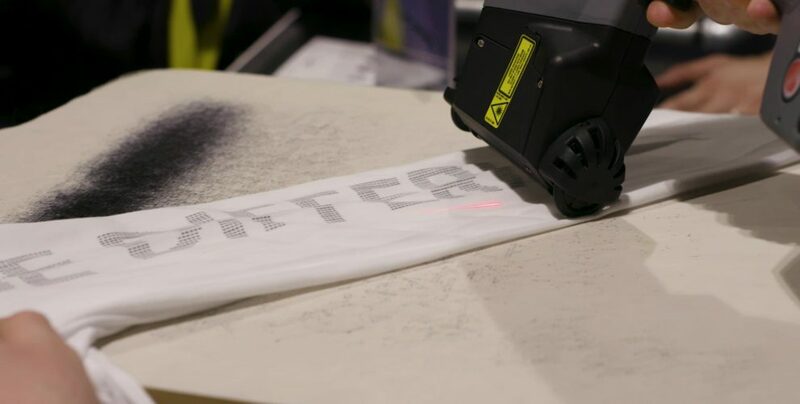 We partnered with our friends from RowBoat Creative who started a printing activation unlike anything you’ve seen in the industry. 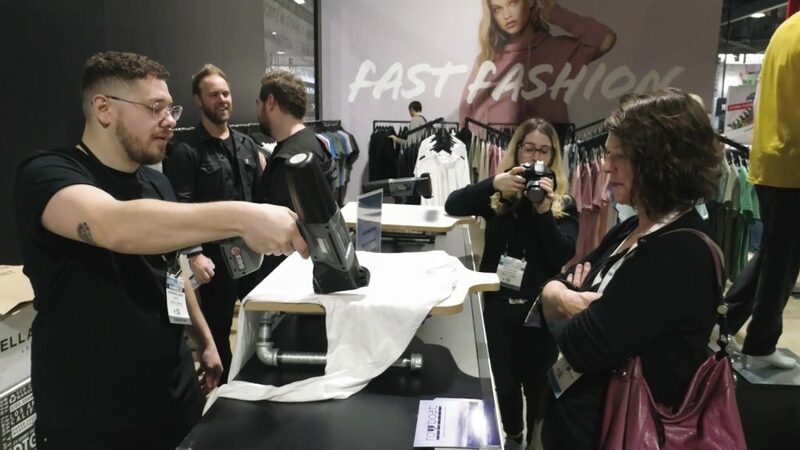 WHAT IS LIVE HAND JET PRINTING? 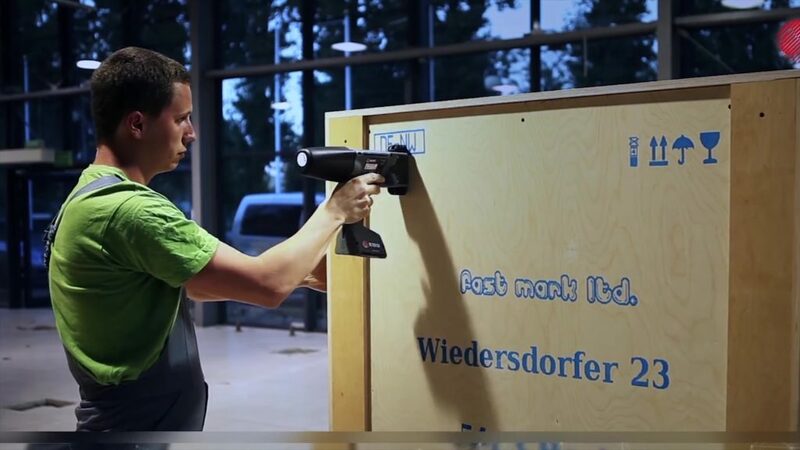 Live hand jet printing is a technology originally developed to label shipping containers and pallets. 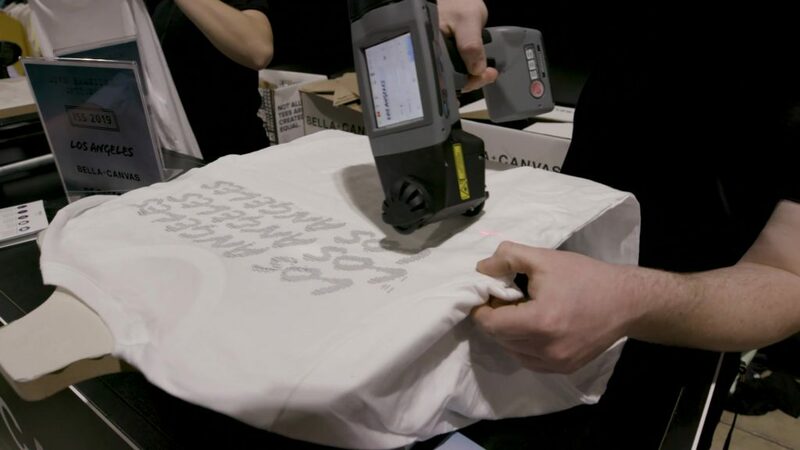 We utilized this tool for a game changing activation in the screen printing world of apparel. This tool gives people the opportunity to customize in ways you typically don’t see at other printing activations. What is this tool? It is a handheld inkjet printer with 32-bit water-based ink. How does the customization work? With the interface programmed in the gun, you can use the basic fonts provided or import different logos. This allows the customer to choose their selection of text, placement, vertical or horizontal, repetitive placement, off the hem, etc. Also, the instantly dry ink allows your customer to immediately have it in their hands. Experiential marketing provides an opportunity you don’t want to miss for your brand engagement to increase! Want to read more marketing tips like this? Check out these articles: CLICK HERE. Shop our print ready apparel at bellacanvas.com!